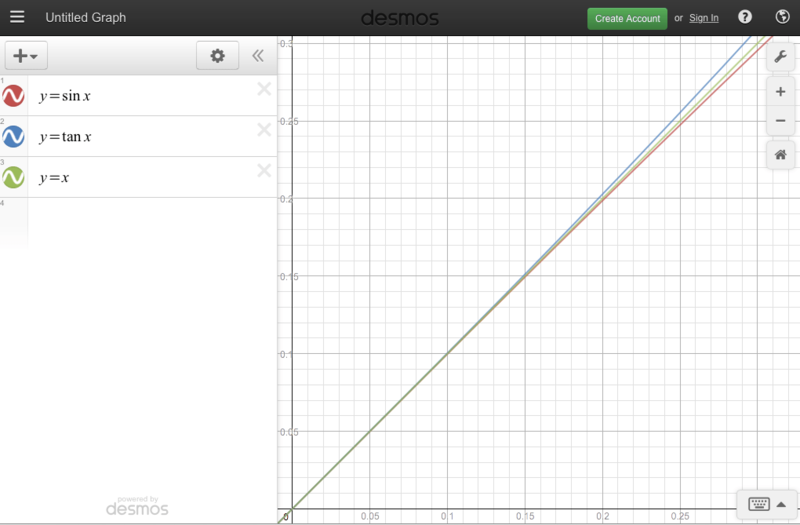 Today, we calculated the thickness of a sheet of paper based on the measurements made in yesterday’s activity. It was very challenging to accurately count the number of fringes on the glass slides. In addition, I don’t have a micrometer to check the thickness of the paper. So, the only confirmation was that the calculated thickness was reasonable. I’ll need to acquire a micrometer for next year. Some students are drawn to the thin-film interference equations in our textbook like a moth to a flame. I’m trying to convince them that they don’t need any equations to solve these types of problems. If they consider if the reflected waves as phase shifted and then determine if constructive or destructive interference is needed, they can reason through all of these problems. Today’s activity was to determine the thickness of a sheet of paper by placing it between the ends of two glass slides and observing the interference pattern on the glass slides. Based on my experience trying this activity ahead of time, I was concerned it would be challenging to make the observations, and it was. Some groups had more success than others. We ran out of time before any group finished the calculations. We’ll do that tomorrow. I need to make several improvements for next year. I suspect that a sodium lamp would work better than a variety of CFL bulbs in different colors, which we used. I also found that the binder clip that I used to clamp the two slides together do so too tightly and distorted the slides resulting in curved interference lines rather than a series of parallel lines. I tried using a rubber band instead, but it didn’t hold the slides tightly enough. Maybe I need thicker glass slides. Anyone else do a lab like this? What equipment do you use? Any suggestions? Thanks! A couple students say they will still solve these problems “long-hand” as a matter of principle. Today, we started the Physical Optics unit in AP Physics 2. 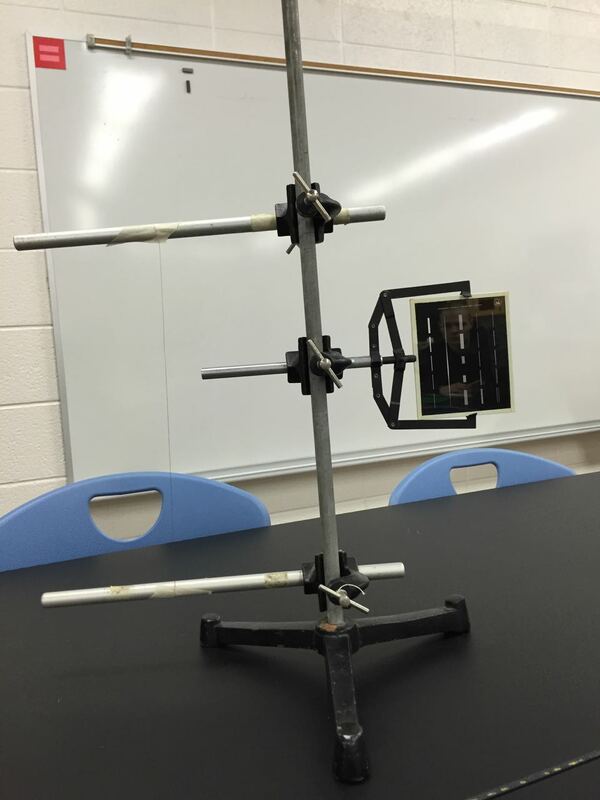 I demonstrated various examples of diffraction and interference phenomenon with this apparatus which holds a plate with several different types of single and double slits and diffraction gratings. 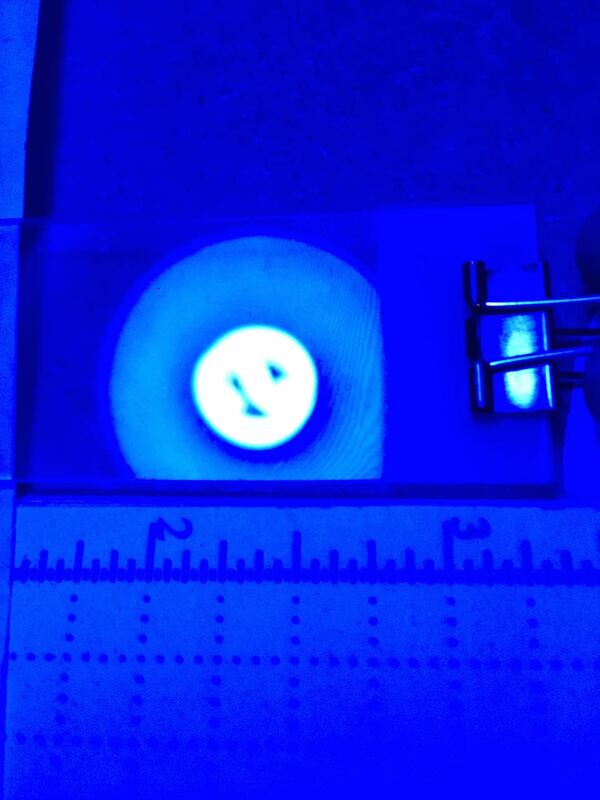 I’ve also mounted a thin wire to demonstrate refraction around an object. While, students find the demonstrations interesting, I didn’t help them appreciate the incredible precise measurements you can make by leveraging these phenomena. I think next year, I need to take a different approach and develop a paradigm lab to start this unit. Today, we finished the electric motors. All but just a few of groups had their motors running before the end of class today. Compared to the motor kits that I’ve used in the past, I found that these kits lead to better analysis and, therefore understanding, of how the electric motor works. For example, the various components of the motor are arranged such that students can access the spaces between to test polarity of the armature as it rotates. In addition, I think it is great that students are hammering, screwing, and soldering – activities that don’t occur enough in physics class. Today in AP Physics 2, the construction of electric motors continued. 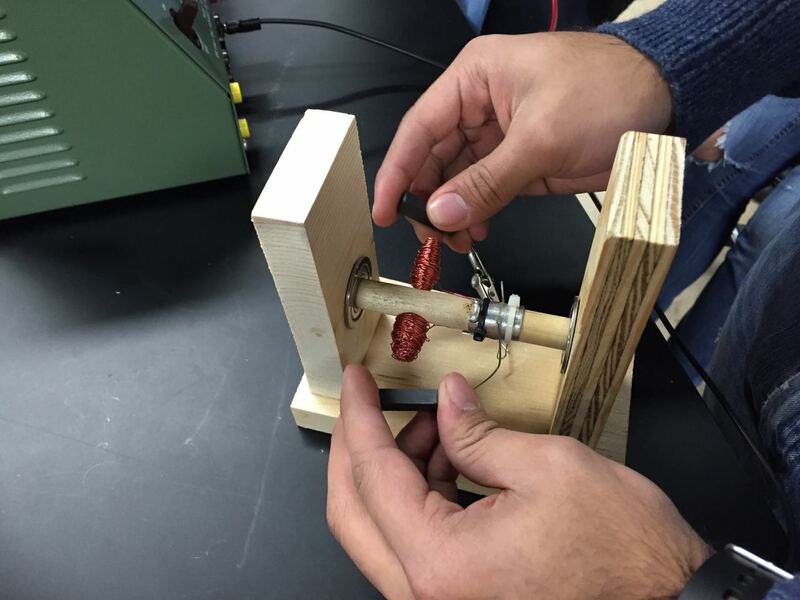 Today’s focus was building the commutator, analyzing it, and appreciating the role it plays in changing the poles of the electromagnet as the armature rotates. 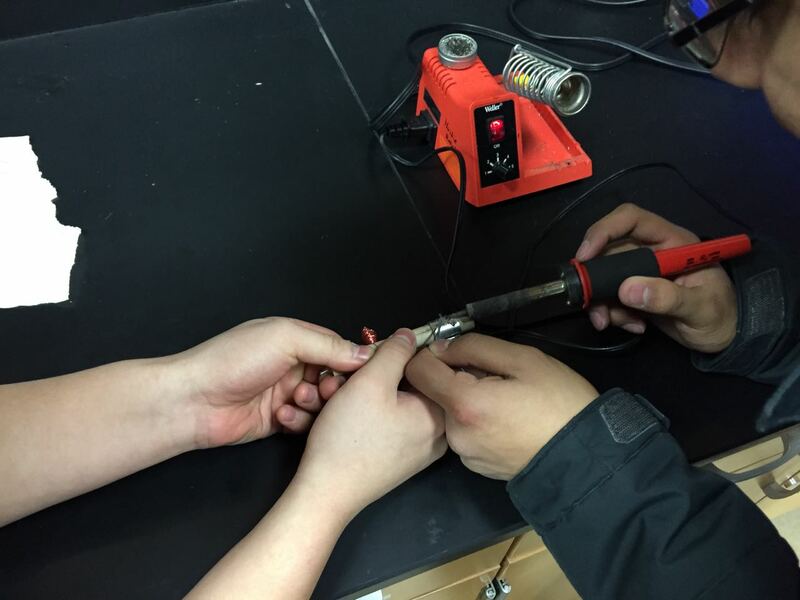 For many students, this was their first time soldering. After a little guidance, every group successfully soldered the wires from the electromagnet to the tin armature.